The story has been updated to correct information on the current requirements for a special education credential. The California Commission on Teacher Credentialing is making big changes in how special education teachers will be trained, adding core courses and an assessment already mandated for general classroom teachers. Commissioners view the overhaul of preparation requirements as critical to improve the education of the state’s roughly 740,000 students with disabilities and predict the changes could be transformative: More students with disabilities will be identified and served earlier, taught more effectively and “mainstreamed” more often in classrooms serving all students. Though four years, several reports and iterations in the making, the commission’s most recent decision came one day after the state released data showing that students with disabilities did worse than other student groups in California on multiple indicators of achievement. Two-thirds of the 228 districts that will receive assistance from county offices of education were designated because of the poor performance of students receiving special education services. “Our kids in special ed are doing extremely poorly. The training and credentialing system has been broken for years,” said Linda Darling-Hammond, chair of the teaching commission and organizer of a state task on special education that recommended key ideas the commission is implementing. The most significant change will require all aspiring special education and general education teachers to initially take foundational courses on instructional techniques and skills, including classroom management and lesson planning. They would then branch off to specialize in an academic area or, for special education teachers, expertise in disabilities. The goal would be to prepare all teachers for all students with diverse backgrounds, including English learners and students with disabilities. The common courses, plus other requirements, would qualify special education teachers to teach in a general education classroom — something they have not been certified to do for 20 years. They will be able to co-teach as equals or be part of a team concentrating on students with disabilities and to provide early intervention for students with learning challenges not coded as a disability. In 1996, responding to a shortage of special education teachers, California created a shortcut to obtain a special education credential without requiring instruction in general education and requirements for student teaching, Darling-Hammond said. Special education teachers could no longer teach students who hadn’t been identified as having a learning or other disability. Although federal law requires that students with disabilities should have the opportunity to be educated with non-disabled peers, to the greatest extent appropriate, California’s credentialing system set back the move toward integrating special education students. Instead, many were taught in self-contained special education classes, often to the detriment of special education students, Darling-Hammond and others say. 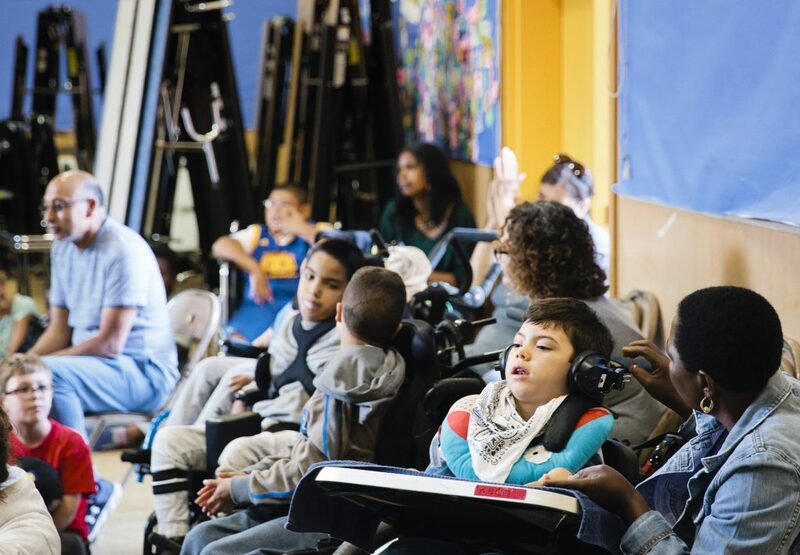 California is now among bottom tier of states in the amount of time that students with disabilities learn with other students, said Kristin Wright, special education division director for the California Department of Education. “The models we support, and research and evidence show that having more access to general education classes correlates to better achievement,” she said. Last week’s decision parallels an action the commission took in 2016 to better prepare general education teachers to teach students with disabilities. It revised the Teacher Performance Expectations, a document that lays out principles of effective teaching schools of education are using to modify their teacher prep curriculums. This is the first year that teacher candidates are taking courses affected by the new expectations. The 36-page document refers throughout to the need to accommodate students with disabilities in engaging students, organizing subject matter and designing learning experiences. Patricia Pernin, an administrator overseeing intern teachers in Los Angeles Unified, which has 80,000 special education students, praised the goal of creating “a collaborative culture” between teachers with different specialties starting with their credentialing programs. Autumn Sannwald, a student liaison for the commission who is pursuing a special education credential for mild and moderate disabilities, said she is taking only one course in common with candidates for general education credentials. “It is important to be in classes with general ed peers; general education students benefit, too,” she said. The endorsements were not unanimous, however. Sally Spencer, a professor in the Department of Special Education at CSU Northridge, worried that the training of special education teachers would be watered down under the new system. “Teaching students with learning disabilities is hard; they need special interventions that are focused, with practice, so that interventions stick over time,” she said. “Teachers tell me it keeps them up at night because they can’t break through. The needs of these kids should not be pawned off on general ed teachers” with huge classes, she said. The commission is proposing no changes for certificate programs for working with blind and deaf children, preschool children and children with severe physical impairments. The vast majority of special education credentials, to which the new requirements would apply, are for mild to moderate disabilities and moderate to severe disabilities. Teachers in those two specialties currently can work with students in all grades starting in kindergarten. One issue still be to resolved is whether to differentiate credentials by grade span — K-8 and high school — under the new system. Pernin cautioned the commission to be “realistic” in creating new grade-span requirements, noting that they could add to the already severe shortage of special education teachers. Pass the Teacher Performance Assessment, an evaluation of a teacher’s knowledge, skills and ability to appropriately instruct all K-12 students in academic content standards, not required now for a special education credential. The assessment requires a candidate to design and perform a classroom lesson and assessment, observed and graded by experts. Commission staff must flesh out the commissioners’ guidelines. The commission still has important choices to make, possibly at its February meeting, including: How many foundation courses will all teacher candidates take in common? Will the performance assessment be tailored for special education credentials? Darling-Hammond said the new requirements will likely extend the minimum nine months required to get a teaching credential, though it’s too soon to say by how much. Speakers at the meeting expressed concern that lengthening the process could discourage candidates from going into special education. But Kristin Stout, program coordinator for the special education program at Long Beach State University, said even though her school’s dual credential program that leads to general and special education credentials requires more course credits, there is a waiting list for admission. Darling-Hammond said that the state’s policy, combining undergraduate degrees in education and a teaching credential in four years, also creates new opportunities for expanding the pool of special education teachers. Advocates of the new requirements are hoping that a stronger foundation in teaching and their acceptance of special education teachers as co-equals with general education teachers will reduce the high turnover rate, which is compounding a shortage of qualified special education teachers. Last year, the commission issued equal numbers of emergency credentials and new credentials for fully qualified special education teachers. **Note: An earlier version incorrectly stated that a special education credential did not require passage of the California Subject Examinations for Teachers, known as CSET, the academic content knowledge exam. Currently most special education teachers pass a multi-subject credential test required for K-8 teachers. The issue facing the credentialing commission is to what extent, if any, additional testing will be required for special education teachers hired to work in high schools. Oh it is watered down. As an already credentialed teacher going through a district intern program I can tell you it is like going through your regular credential program 3 times over. It’s absurd. There is not enough specifics given to us about how to help kids with specific disabilities. In addition, no time is provided at most schools for co teachers to co plan. I have a multiple subject credential (CA) and have taught for 18 years. I would like to obtain a special education credential but have not been able to find a program that is timely and affordable. Any advice? I am new to the special education field and am planning on pursuing my Master’s in Special Education, along with my Early Childhood Special Education credential. I am currently substitute teaching in both state preschool classes, and special education classes and love them both! I know I’m going into the right field but with all of the information out there I’m a bit confused. I’m in my 50s and am starting a second career (never recovered from my divorce and the recession 10 years ago). I’ve heard the ECSE credential will be expanded to include Kindergarten as well. Does anyone know if this is true and (most importantly to me) will it require the CSET and RICA tests or not? I’m hoping not as I don’t want to deal with those at this point in my life. I’m hoping that means there will be continued growth in the ECSE field as school districts don’t always offer tons of opportunities in the ECSE area (where else can I work with this type of credential)? I live in Southern CA in the Inland Empire area – San Bernardino and Riverside Counties. I just need to work another 15-20 years (70-75) so that I can afford to retire someday! If anyone can answer this I would be SOOOOO happy! Trying to find out and having a hard time with it. Many thanks! This article makes me sick, from start to finish. I’ve been in the field for over 25 years and hold dual credentials in mild/moderate and moderate/severe. The premise of this article is that special education students rank lower in achievement. Well, duh. My students are working towards individual goals on their IEPs. Their achievements stand alone and should not be compared to every other student in the state. Does Linda Darling-Hammond claim that no disparity should exist? Am I a failure if my students score lower on achievement tests? Start with a limited trial of your new standards and compare them to see if you’ve really made anything better. Don’t screw up the current system with your experimentation. The current system does not help students in moderate special ed classes. It holds them back, it lowers their confidence which makes them rank lower in overall achievements. I know you’re a good person, But the kids are suffering from the old program. As a parent of a daughter in special education, I have to say that Tri-Valley SELPA is way ahead in their approach to educate. Coming to the Oakland Unified School District was the worst mistake I made for my daughter’s education. Maybe it’s the amount of kids that OUSD has compared to Tri-Valley or the education and experience or maybe both, but definitely where we are at with Oakland, these new laws cannot come soon enough. I have a multiple subject credential and have been teaching for 18 years. I would like to earn an additional credential in special educate (mild to moderate), but I cannot find any information on how to do this? Does anyone know of a starting point or program? Thanks! Contact the special education program at the university closest to you and they will give the information you need! Also check with your district! There is such a SpEd shortage in my neck of the woods (Bay Area), that many districts are facilitating gen ed teachers who want to earn a SpEd credential. They’ve arranged for reduced tuition rates at local colleges and really work with the teacher so they can keep working in gen ed while earning the additional credential. Some of your gen ed classes will transfer over to the sped credential. You need to go to talk to the sped department where you want to earn you sped credential. I have both credentials. I did t have to student teach again but I worked as a sped intern. Thanks. Glad to know that more and more websites are covering special education. I would like to comment that maybe if special education teachers had smaller, more focused caseloads and more prep time they could likely better support students and general education teachers. When you have nearly 30 students spanning grades K-5 with a variety of disabilities and needs that require individual attention and differentiation and are afforded only before and after school time for this preparation, there is bound to be a lack of effectiveness. Many leading countries provide teachers with 10 hours or more of prep time per week. When quantifying the tasks asked of your average special education teacher in California, you will likely come up with 20 hours a week or more (conservatively) required to prepare, differentiate, and collaborate with each of the teachers who work with their students. Then there is the development of and preparation for IEPS. In addition, maybe a credential can authorize K-12 across disabilities but maybe assignments should be required to be more focused as to not extend more than a 2-3 grade level span or to teach students with a particular disability such as an SLD specialist or autism specialist. This would allow people to effectively prepare and instruct with researched based strategies specific to that disability and to address standards specific to one or just a few grade levels. It is absurd to think that a special education teacher should know and prepare for lessons and differentiation in all academic standards for 6 grade levels for students with 10 types of disabilities, plus identify, evaluate and track behavioral concerns and collaborate with support staff, teachers, and other service providers effectively, not to mention write IEPs and monitor progress on goals in the time allowed. A general education teacher is certificated to teach across grade levels but is not asked to teach 5 or 6 grade levels in one year. They get grade specific assignments, and if they happen to get a 2 grade combo class it becomes much more difficult to teach effectively so imagine this amplified in many ways for special education teachers. Then there is the issue of funding. There is a lack of ongoing training provided to special education teachers on the job. I have colleagues that, when certain programs where in place, where able to attend trainings on targeted intervention programs and were provided with those programs to use. Today, special education teachers are welcomed by being shown to their often empty classrooms where they are expected to purchase on their own, the tools necessary to reach students or create them themselves. In some districts Special Day Class (SCD) teachers are handed the curriculum for 3 grade levels and told to differentiate it themselves. They are not provided with materials such as phonics programs, comprehension kits, or alternative math programs or tools to address the unique needs of their learners. They are expected to work with what is there for the general education students and sometimes not even given that! Why doesn’t California seek insight from teachers as to what would make things better? It’s not so much about the preparation, but the expectations of an impossible task in assigning teachers to such a broad position and expecting this to be effective without resources, trainings, and adequate preparation time. This is great news but it will take too long to make an impact if only the training of new teachers is changed. They need special education teachers to be general education credentialed; they need general education teachers to get inclusion and differentiation training, and they need a license for inclusion specialist. I would like to clarify a few items in your article related to what I said at the meeting. It is not that I am not in favor of the changes, I just believe that the Commission might be acting too hastily, given that the General Ed changes have only just taken place. I do believe that teaching students with learning disabilities is difficult, though, and I do believe that there is an extensive but separate research base on that population that is not generally covered in General Education credentials. Done correctly, a Mild/Moderate Disabilities Special Ed credential (which already requires student teaching and the CSET, by the way) focuses on the instructional differences needed for students with a learning disability to be successful: more strategic, focused intervention in their areas of need. Special Ed teachers need to be diagnostic teachers who know how to use individual student data to guide their teaching. Working in collaboration with our general education colleagues to provide intervention is the ideal, and placing more students in general education is obviously the goal. My experience has been in Pre-K particularly in Head Start programs. I have had children attend from special day classes in the Head Start classroom. I have observed special education teachers not knowing much about early learning and child development. I hope that the teacher commission will require a few courses in Early Learning development. We do have very young children with diagnosis in special education. When I first began my career, I was interested in becoming a special education teacher for birth to five years of age. The requirements were too difficult and did not relate to direct student instruction. My dream may not have realized, but hopefully it will for the next generation! I am a special education teacher in California. 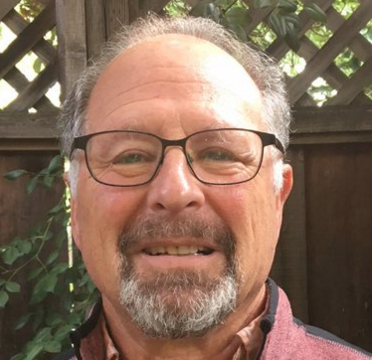 My pre-service training program at Point Loma Nazarene University, required me to take and pass the CSET, complete a year of student teaching, and complete the Teacher Performance Assessment (TPA). I have never heard of a special education teacher not having to do these things. I have a credential from the State of New Mexico in Bilingual Special Education. How does this apply to getting credential in California? It certainly is necessary to increase the requirements for special education teachers and to make them even more valuable in the classroom. I know that many of my SPED teachers feel that they are not given as much access and influence in the classroom as they would hope. With that said, I think it is a huge oversight not to include more training for preschool teachers! We need to address the shortcomings of preschool teacher preparation. Research clearly indicates that this is a critical time of development for young children, and having well-trained teachers is crucial. I hope the state reconsiders this for future changes. So should currently serving CA special education teachers, inferentially incompetent per Darling-Hammond, and seldom shown appreciation for their dedication, resign en mass and find something else to do? Do we apply this sort of insulting analysis to the medical profession? Dedicated physician oncologists working with the subset of patients with cancer tend to have patients who significantly fail to achieve the life expectancy of same-age patients without cancer. Do we declare that the cancer patients are doing very poorly and attribute the same to their physicians and their poor training and credentialing? With attitudes and blame such as that expressed, it is surprising that any selflessly enter and remain in the special education field. Stats showing that California students identified as special education have lower achievement than many other states might suggest a need for improvement in teacher training. But the states might merely reflect California’s historical dismal spending on education in general and its fiscal policies that discourage identification of California SPED students. Given California demographics, it might be expected that California would have a higher percentage of students ID’d as SPED than the national average, but it is lower. Where fewer such students are ID’d, those who are ID’d can be expected to have more severe disabilities, which in turn would tend to statistically lower achievement for that group. It seems like her comments are aimed at a broken system, not the people doing their best despite that system’s flaws. Though I agree the statement could have been phrased in a way that left it less open to divergent interpretations.